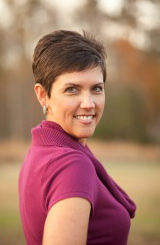 Julie Stubblefield, Founder of the Fit Mom Revolution, an online community focused on helping moms feel better so they can care for the ones they love joins eHealth Radio and the Weight Management & Fitness Channels. What is the biggest struggle you've seen with your clients when it comes to changing their eating? How does this impact their long-term success? What steps can they take to turn it around? How does changing their eating increase their success rate? What's the first step listeners can take to get their emotional eating under control?